Roller coaster ride to earn this 5 star review. I was actually pretty set on buying a newer q50 till I saw how well maintained the g37 was at this location. Initially felt like a star with their treatment which then took a dive after a few goof ups. However what deserves 5 star is they rectified all those and gave me the service I paid a premium for. Thank you for the great service and car. Ken and Luis did a great job walking me through my car buying experience. 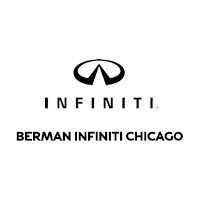 I highly recommend Bermans INFINITI Chicago. They will help you out with a friendly smile and great professionalism. Plus the coffee is great! Berman INFINITI service department provide TOP NOTCH service and very professional. Extremely attentive customer service. Feel confident you are getting your needs met and that your car and you are in great hands. James did an incredible job getting my INFINITI detailed perfectly. He spent extra time going over the car with me to ensure I was completely satisfied. I highly recommend him for the excellent job he did and his great customer service.